Lessons in what one observer calls ‘the ability to get along with one’s own emotions’ lead the way in our May bestseller list from China. 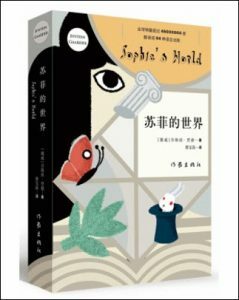 The title to watch in the May bestsellers list from China, according to our Trajectory colleague Wendy Pan, is Sophie’s World by the Norwegian novelist and short story writer Jostein Gaarder in a newly published Chinese edition from Writer’s Publishing House. It’s a 1991 work of fiction that entered the OpenBook listings for the first time in April and now is seen rising seven spots in May to become No 12. Released in English in 1995 and said to have been translated into more than 50 languages and was given a film treatment in 1999. Gaarder uses the devices of letters, questions, and dialogues to tell his story. Chinese readers, we’re told, are enjoying this fictional approach to an explanation of Western philosophical tenets. Pan tells us that the Chinese readership is accustomed to popularly written forms of academic and theoretical content, coming at times under the umbrella of self-help books, which we last month discussed as finding a lot of favor with urban youth in China this year. A new entry this month at No. 13 in the overall fiction chart—just behind Gaarder—is the popular writer Zhang Haochen’s Up to You. It was released in May to coincide with the birthday of the author, the book is performing as expected, we’re told, as an immediate bestseller. 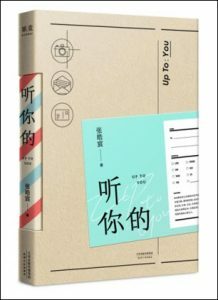 Zhang’s riding on the previous success of his Just for Meeting You, which carries emotionally supportive messages for young adult readers about having faith in love and being unafraid of affection. The readers of Zhang Haochen’s work appreciate his reassurance that emotional satisfaction and authenticity are possible in what many of them experience as a very fast-paced contemporary life. And meanwhile, in nonfiction, we find Chen Lei’s World History in 30 Minutes of Cartoons at No. 2 in May. 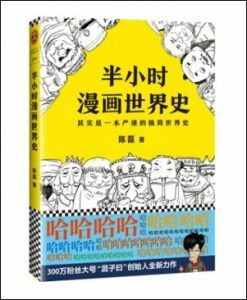 The book, a companion to Chinese History in 30 Minutes of Cartoons (No. 4), features what’s described as a collection of cartoons that cover “the rise and fall of world civilization and the divisiveness of political relations between many countries, all in a form of minimalist world history. Below, then, are OpenBook’s overall lists from May of bestsellers in fiction and nonfiction, followed by its lists of bestselling fiction and nonfiction in China by authors from outside the country, which are of interest, of course, to those who are looking to sell rights into the huge Chinese market. 2 2 9787544270878 201404 Miracles of the Namiya General Store Higashino Keigo Nan Hai Publishing Co.
15 3 9787559608949 201709 I’m Waiting for You in Future Liu Tong Beijing Union Publishing Co., Ltd.
4 10 9787544291170 201708 One Hundred Years of Solitude (50th Anniversary Edition) Gabriel García Márquez Nan Hai Publishing Co.
14 15 9787544291163 201708 Journey Under the Midnight Sun (2017 Version) Higashino Keigo Nan Hai Publishing Co.
24 16 9787544285148 201610 Malice Higashino Keigo Nan Hai Publishing Co.
16 18 9787544267618 201406 The Devotion of Suspect X Higashino Keigo Nan Hai Publishing Co.
26 29 9787559614636 201712 Fang Si-Qi’s First Love Paradise Lin Yihan Beijing Union Publishing Co., Ltd.
18 30 9787544277617 201506 Love in the Time of Cholera Gabriel García Márquez Nan Hai Publishing Co.
1 5 9787550263932 201511 Genius on the Left, Lunatic on the Right (Full Version) Gao Ming Beijing Union Publishing Co., Ltd.
Not Ranked 7 9787550268517 201607 Positive Discipline Jane Nelsen Beijing Union Publishing Co., Ltd.
11 9 9787535488473 201605 Walk Alone Freely Jia Pingwa Changjiang Literature & Art Press Co.,Ltd. 1 1 9787544270878 201404 Miracles of the Namiya General Store Higashino Keigo Japan Nan Hai Publishing Co.
3 4 9787544291170 201708 One Hundred Years of Solitude (50th Anniversary Edition) Gabriel García Márquez Colombia Nan Hai Publishing Co.
7 7 9787544291163 201708 Journey Under the Midnight Sun (2017 Version) Higashino Keigo Japan Nan Hai Publishing Co.
14 8 9787544285148 201610 Malice Higashino Keigo Japan Nan Hai Publishing Co.
8 9 9787544267618 201406 The Devotion of Suspect X Higashino Keigo Japan Nan Hai Publishing Co.
10 13 9787544277617 201506 Love in the Time of Cholera Gabriel García Márquez Colombia Nan Hai Publishing Co.
15 14 9787544291224 201708 After School (2017 Version) Higashino Keigo Japan Nan Hai Publishing Co.
Not Ranked 18 9787544281102 201601 Newcomer Higashino Keigo Japan Nan Hai Publishing Co.
20 19 9787544258210 201710 Naoko Higashino Keigo Japan Nan Hai Publishing Co.
Not Ranked 2 9787550268517 201607 Positive Discipline Jane Nelsen United States of America Beijing Union Publishing Co., Ltd.
15 19 9787550216495 201308 A Brief History of Time in Graphic Stephen W.Hawking Britain Beijing Union Publishing Co., Ltd.
OpenBook is a privately owned industry-data research firm based in Beijing. It functions somewhat as Nielsen and NDP do from the West, and Nielsen Book Research International has worked with OpenBook in Asian operations. Trajectory, based near Boston, is an importer of Western-language ebooks and audiobooks into China. 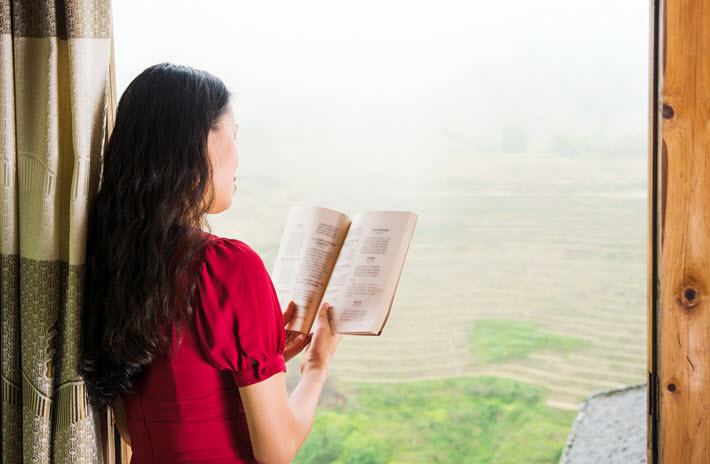 Trajectory is also helping China’s largest publishers export their books and audiobooks through a proprietary global ebook distribution network that includes hundreds of retailers as well as library and school distributors.